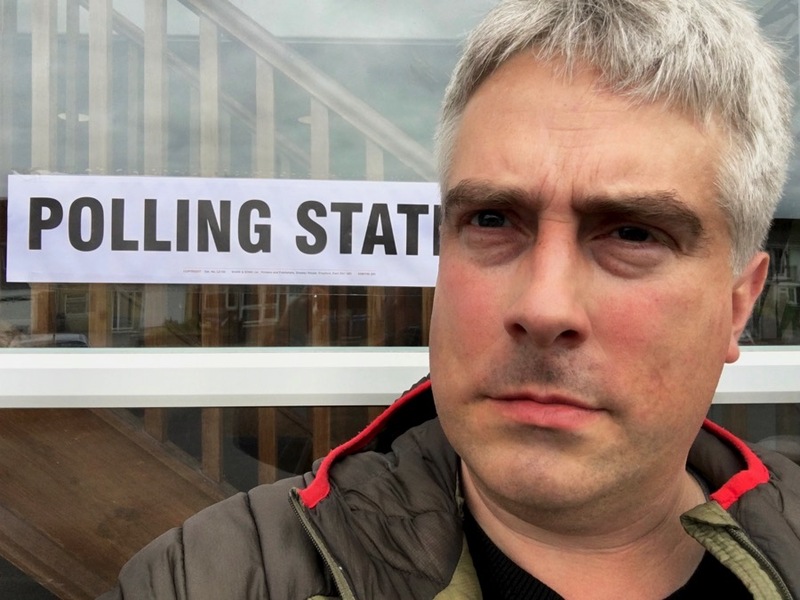 Here’s a photo of me trying to do a serious electoral face, and ending up just looking worried. But I do think this is a serious election. The British government could insist that the identities of people who search for certain terror-related words on Google or YouTube or Facebook be handed over. But then what’s to stop the Turkish government, or embassy, demanding the same about Kurdish people searching on “dangerous” topics? The home secretary, Amber Rudd, could insist that WhatsApp hand over the names and details of every communicant with a phone number. But then what happens in Iran or Saudi Arabia? What’s the calculus of our freedom against others’? So, please do vote – and make sure that your vote matches as well as it can with your actual political views.